I recently attended a 4-day conference on “Science, Spirituality and Education” in Gangtok, Sikkim. The Dalai Lama opened the conference, and I wrote the article below about his fascinating dialogue with members of the neuroscience community. It was published today in The Times. His interest in science dates from childhood. As a young boy during the Second World War, he was tutored by the explorer Heinrich Harrer who had been forced by circumstance to spend the war in Tibet. Harrer, who found the boy remarkably precocious, introduced him to Western science through topics such as the working of the jet engine. 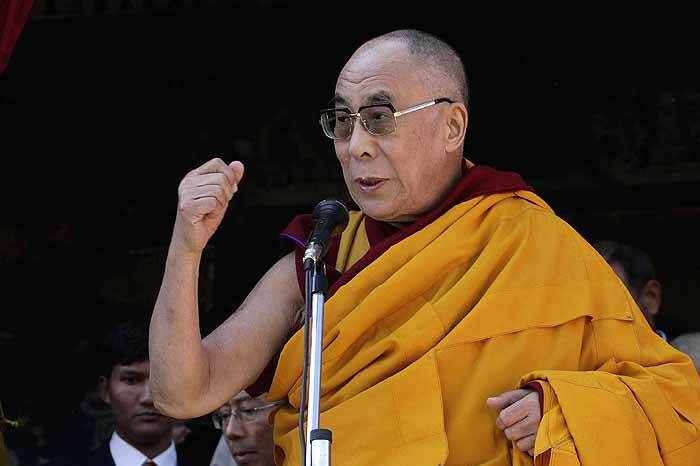 Since his flight from Tibet at the age of 24 in 1959 he has consistently sought a greater understanding of the scientific world, keeping himself up to date with the latest developments in many fields at his home in Dharamsala, North India. In the late 1980s a more formal dialogue began between the world of cognitive science and the leader of the Tibetan exile community. Francisco Varela – a Chilean neuroscientist and also a Buddhist practitioner – led the efforts to open up the dialogue. A revolution was taking place in neuroscience that Varela felt would benefit from a dialogue with experienced meditators. The revolution concerned a major reappraisal of our view of the brain. For most of the twentieth century, neuroscientists had seen the brain as fixed and immutable. At birth, we already have the full complement of cells (neurons) in the brain. During childhood these neurons become specialized to deal with specific tasks. After that, so the theory went, those neurons performed only those tasks they had become specialized in during childhood. So the auditory cortex had been designed to deal with auditory input only and would always do so; the visual cortex only with visual input and so on. A series of experiments in the 70s and 80s, described in the bestselling book “The Plastic Mind” by Newsweek science columnist Sharon Begley, shattered this fixed view. Neuroscientists were able to show that, far from being fixed, the brain had a capability to reassign areas of the brain to perform new tasks. Early experiments with deaf people demonstrated that when the auditory cortex was no longer able to receive auditory inputs, that part of the brain could be reassigned to receive visual signals instead. Even more remarkably it was discovered that after blindfolding volunteers for a week, their visual cortex is reassigned to take over tactile functions. Even though the volunteers had not actually lost their visual functions, the brain was reassigning neurons to other tasks. Further experiments on musicians showed that the brain could in fact reassign space from the right to the left brain at will. Together the results of these experiments appeared to show that, contrary to prevailing scientific dogma, the brain is capable of being trained. They became the basis for a new theory of the brain – that it is far more malleable than previously thought. The scientists called it “neuroplasticity”. By 1990, Varela had established a formal organisation called the Mind & Life Institute to formalize the annual (private) dialogue between neuroscientists and the community of Buddhist monks in Dharamsala. During the 90s, developing thinking in neuroscience was discussed, including the latest thinking on sleeping and dreaming, memory, and emotional health. As the 21st century dawned, neuroplasticity came to be a particular focus of the annual meetings. The neuroscientist Richard Davidson was excited by the discoveries. If the brain could be trained to do new things (as the experiments had shown) could there be some truth to the claims as to the effects of meditation? If so, Davidson realized, there would have to be brain changes – which could be measured. A steady stream of Buddhist monks started flowing to his brain imaging lab in Wisconsin University, allowing their brains to be analysed before during and after meditating on compassion. The results showed a significant increase in gamma waves during this act of meditation (Gamma waves are brain waves in the gamma frequency that scientists believe reflect the activation and recruitment of neural resources). In a 2008 paper, Davidson and his colleague Antoine Lutz shared these findings which introduce the intriguing possibility that we may be able to train the mind to feel compassion, love, happiness and in so doing change the brain. But what is this “mind” that causes these changes in the brain? This is where the difficulty arises between science and spiritual beliefs. What exactly is the mind? Is the mind separate from the brain, or part of it? And what is its relationship with the brain? The latter question is a chicken and egg question that goes to the heart of the issue – does the mind create the brain, or does the brain create the mind? He was speaking at a conference held this week in Gangtok, the capital of Sikkim. This particular conference, sponsored by the state government of Sikkim, has brought ethics and education into the equation as well. The goal is to examine how to educate the heart as well as the head, something that the Dalai Lama believes is essential. Delegates from the Association Montessori Internationale as well as leading academics researching the effects of Social and Emotional learning have jostled with the red robes and the white coats.